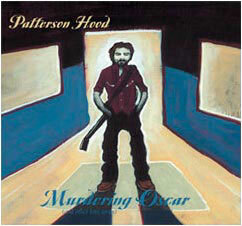 Patterson Hood will release Murdering Oscar (and other love songs) today on Ruth St. Records. The second solo record from the leader of the Drive-By Truckers has been 15 years in the making. The album was produced by Hood and long-time DBT producer David Barbe (Sugar). Most of his DBT band mates join him on the album as well as Don Chambers, Will Johnson and Scott Danbom from Centro-matic/South San Gabriel. This is also the first time Hood’s father David Hood, famed Muscle Shoals bass player, joins him on a record. The album was recorded at Chase Park Transduction Studios in Athens, GA and will also be released on 180 gram vinyl. The vinyl release will include three exclusive bonus tracks. An a cappella version of “Range War” will also be available exclusively with iTunes. “Pollyanna” and “Pride of the Yankees” are available to preview on his Myspace page. Patterson Hood plays the Music Hall of Williamsburg in BK tonight, and Bowery Ballroom tomorrow.